Medium wash skinny jean with distressing, a 5 pocket design, and fun ankle slits! Model Stats: Models stuck with their normal sizes. Leah is 5'2" and wearing a size 11. Kristin H. Reviewed by Kristin H.
Sooo cute and very comfortable. Can we worn as jeans or rolled into capris. Can't say enough how much I love kancan jeans! These fit perfect like every pair I buy from Pulse! 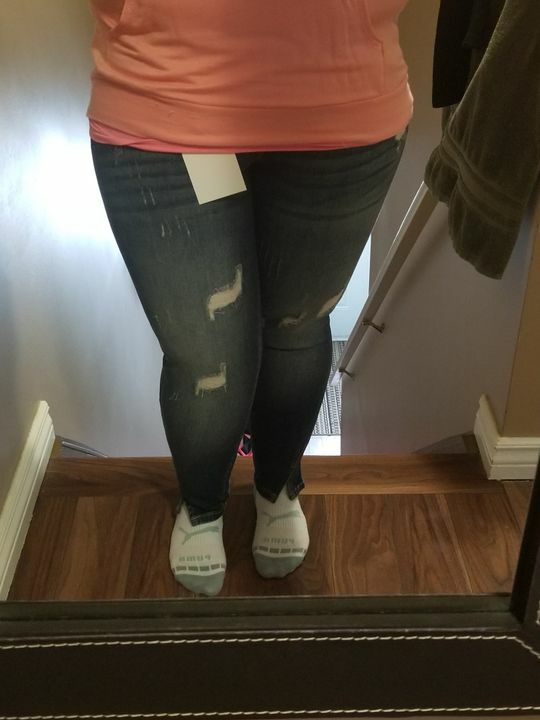 Comfy and cute, true to size!